Ok, I'm going to post two 'Your adventure ends here' posts, do my favourites at a later time and then wrap up after that. 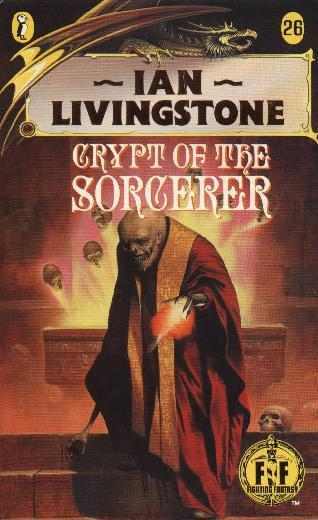 The first gruesome death comes from Ian Livingstone's Crypt of the Sorcerer. looking distinctly scary. solo, but still buzzing. ﻿You are mesmerised by the beauty of the sparkling diamonds, but picking one up is the last thing that you will ever do. Your body immediately crystallises and you sparkle as if you were a diamond yourself. You have saved Allansia from eternal doom, but you have paid for your greed with your life. First of all, although you die, you turn into a giant diamond. You may be dead but you are a very rich corpse. Second of all, you die because you were greedy and should have been more concerned with saving your own life rather than grabbing treasure. You have violated the moral code set by the book and so you have paid the penalty. Maybe the fact that you turn into a diamond is an example of death by irony for your greed. I got this far by cheating. 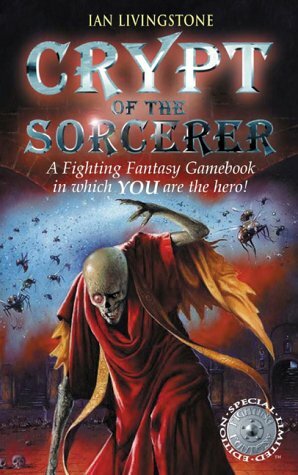 Seriously, I'm not going to play Crypt of the Sorcerer fairly. The book is extremely punishing. This is almost the end of the book. I've survived Razaak's magical onslaught and beaten him in combat. Not too easy considering he's a skill 12 stamina 20 opponent who automatically kills you if he wins two consecutive attack rounds. Now that he's finally dead, I could flee the collapsing cavern or I could look at the treasure. I'm given another chance to flee, but I still decide to take it. I am killed for my greed and the inability to take a hint. What have I learnt from this paragraph? Some gamebooks have a moral code and if you work out what it is and follow it, your life would be much easier. Crypt of the Sorcerer is not too overt about what it wants as a moral code but it does punish you for being greedy, saying you serve chaos and attacking non hostile people. However, in the last case, you still have to attack someone and take a luck penalty to get an essential item for victory. 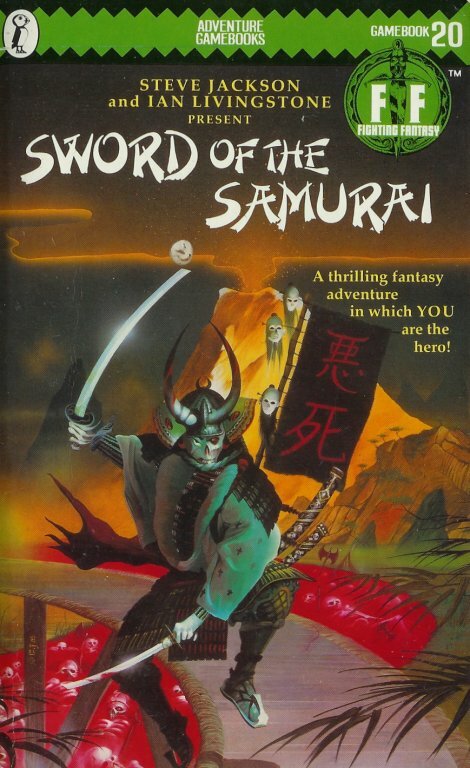 Sword of the Samurai by Mark Smith and Jamie Thompson also has a moral code which is measured by your Honour score. They do not go into too much detail about what is honourable and what is not honourable, but the word honour has certain connotations which if you folow, you can't go too wrong. If your honour reaches 0, you commit seppuku. He's not here for the fishing. Some books have other rules that are not moral but you need to follow them to survive. 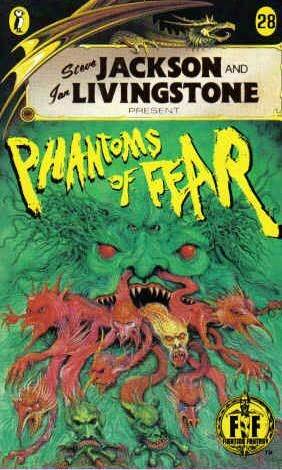 For example in Phantoms of Fear, by Robin Waterfield, you reach a point where you can enter the dream world and become invisible but you will not become immaterial. ﻿There is a point where you come across a bunch of lizard men who kill you. If you decide to become invisible, they still kill you because you are not immaterial as the book told you earlier. The phantoms often suffer from sinus problems. So if a gamebook (not necessarily a person in a gamebook as they may be a lying traitor) tells you something, it is probably good to follow that rule or you will end up dead.